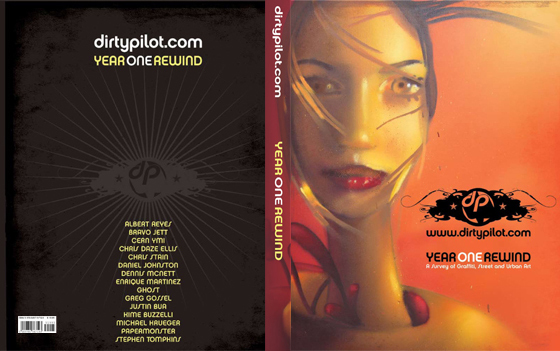 Dirty Pilot.com Just released our first hardcover book Titled “YEAR ONE REWIND” each Deluxe Edition Book will be Hand signed in marker by various artists 10 In all. (See Pic) and will also come with your choice of one of 3 Limited Edition Prints. 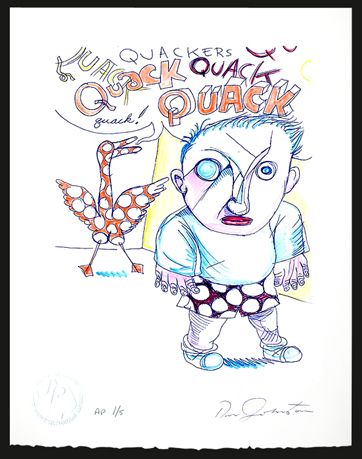 Albert Reyes Print – 8″x10″, Archival Pigment Print, Hand Signed and Numbered. Edition size 50. “Year One Rewind” Featured artists include up and coming talents along with established artists such as Chris “Daze” Ellis, Kime Buzzelli, Bravo Jett, Albert reyes, PaperMonster, Chris Stain, Ghost, Cern YMI, Dennis McNett, Greg Gossell, Stephen Tompkins, Justin Bua, Michael Krueger, and Daniel Johnston. A sturdy, 96 page hardcover compelation of shows, DirtyPilot.com “Year One Rewind” dedicates from two to six pages of illustrations of each showcased artist as well as the dates the artists showed their work on DirtyPilot.com. It also delivers biographical sketches on each contributor. The book’s introduction offers insightful background information on the origin and focal point of the DirtyPilot site. If you’re passionate about Urban Art and Artists and want to learn more, DirtyPilot.com “Year One Rewind” is a treasure trove for collectors that you won’t want to be without. Deluxe Edition limited to 150 copies. 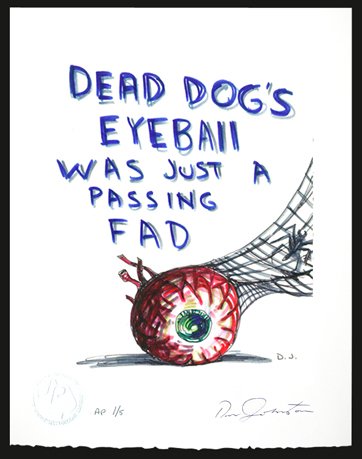 Keep your eyes out at www.dirtypilot.com as we will be releasing a portfolio of archival pigment prints of rare work by Daniel Johnston from the 1980’s. 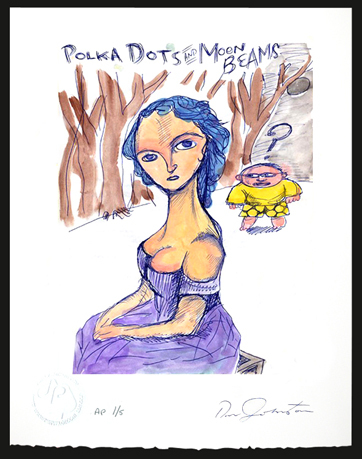 The portfolio will include 5 prints 16.5×13. 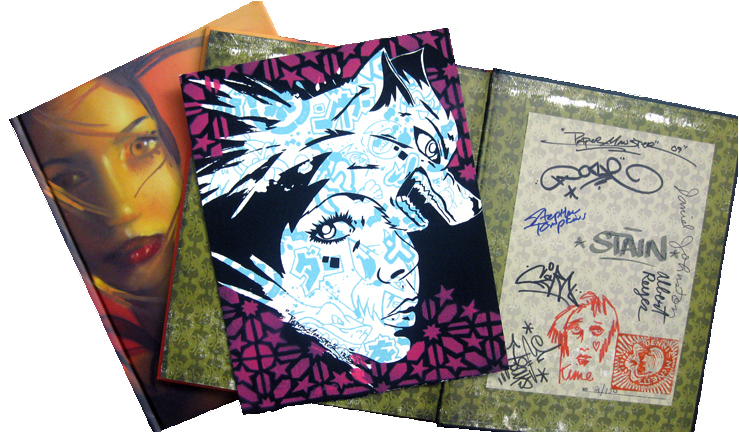 Printed on 300 gms Moab Fine Art Paper w/a hand deckled edge. 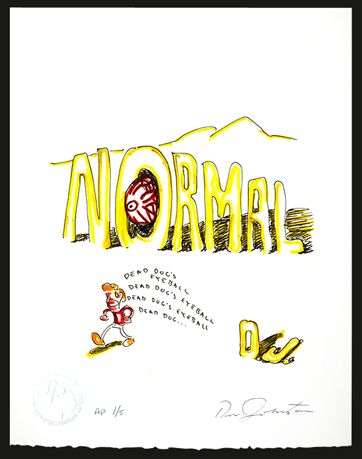 Each print is signed and numbered by Daniel. Portfolio measures 15×20 on white bleached corrugated with label. 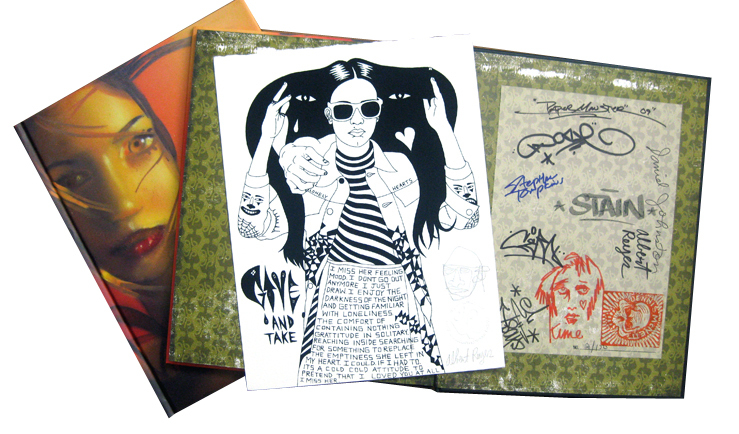 These portfolio’s will be limited to only 50 and a few will broken up so we can offer some individual prints. Single prints will be offered at $100 and the portfolio which includes all 5 prints and the corrugated portfolio will be offered at $400 for only a limited time. Check it out. DirtyPilot set to release “Year One Rewind” a survey of art shown from our inaugural year. Coming Spring “09”!! Distributed by LAST GASP.